to have an objective, impartial review of whether someone’s performance is plausible rather than have long Facebook threads of uninformed opinions on whether not a performance is real. Essentially, ZADA verified that top racers were actually able to put out the power they were showing in-game. This was necessary since it’s not hard to “tweak” power numbers, to e-dope, if one were so inclined. We ran a post about ZADA over two years ago which gives a good rundown of how it all worked in its early days. ZADA changed its name to CEVA Z (Cycling Equipment Verification Administration for Zwift) in late 2018. ZADA / CEVA Z was started when eSports cycling was still very young. It was developed to celebrate and recognize extraordinary performance. Over time, the project slowly evolved to become a governing body for Zwift racing. 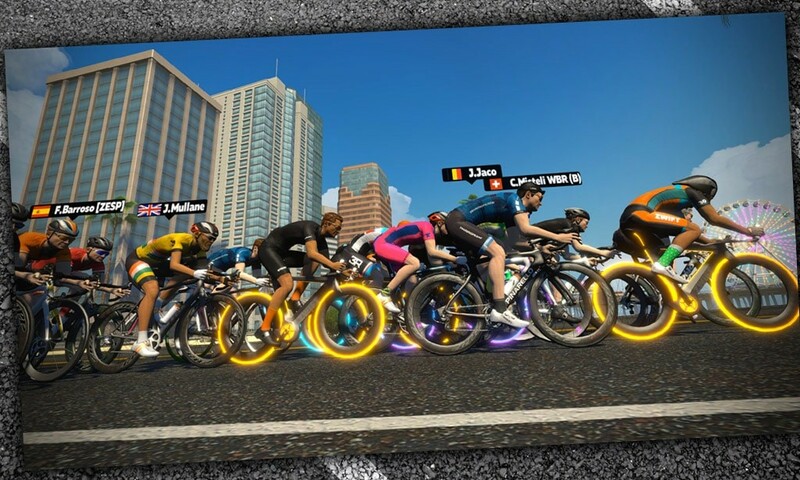 With the growth of eSports, and the recent acceleration due to Zwift HQ’s injection of energy into our discipline, the volunteers at CEVA Z have decided it is time to shut down. The project simply could not keep up with the growth and was not properly organized to act as a governing body. We hope the end of this era of performance verification on Zwift will open doors to new, better, and more efficient methods of regulating eSports cycling. For now, performance verification and the duty of keeping our discipline clean will fall on the teams, race organizers, and the community. Thank you to the numerous volunteers who put many hours into CEVA Z and congratulations to all of the athletes who earned their badges over the years. All those volunteers who worked to pore through Strava files and power numbers deserve a big thank-you for their efforts. It was a thankless job, really, but they put their time into it anyway for the love of the game. So thank you, ZADA/CEVA Z volunteers! If CEVA Z was performing a needed service for Zwift racing (and I believe it was), the obvious question is, “What happens now?” With ZwiftHQ turning more attention to racing on the platform (including its first-ever pro race series starting in just two days), what can be done to encourage or ensure fair play? Lots of smart minds have attempted to figure out ways to verify Zwift performance, but no one has arrived at a better solution than CEVA Z. In the end, there’s just no easy way to ensure that the people you race against are truly capable of performing at the level they are on Zwift. This is why the big cash prize race finals (CVR, Zwift) have been held in one physical location, where trainer calibration has been tested and verified and riders weighed in the day of the race. I think the “holy grail” here would be an automated solution which looks at a rider’s outdoor Strava history, comparing speeds and/or power numbers to Zwift stats to verify performance. But this is no small thing to develop. As a B category racer, those who I compete against were never CEVA Z certified anyway (they only worked to certify top A racers). So long ago I had to come to terms with the fact that, on any given race day, I may be up against riders with inaccurate power. And you know what? I don’t think about it anymore and haven’t for years. The competition is always good, I feel like I have a podium shot (at least on flatter races) and riders who perform outside of the B category limits get automatically DQ’d or upgraded to an A. It works for me. What about you? Do you think Zwift racing needs a governing/verification body? How should it function? This is unfortunate. I can see the A races getting overwhelmed with nonsense pretty quickly and they’re already bad. I enter every event competing against myself. I have an average wattage I want to maintain. So dopers don’t matter to that. Once the peloton is long gone and everyone has settled into their pace, I always have 2-3 riders around my pace directly in front of and behind me. Real people near my abilities and I spend the rest of the race pushing hard against them. Again, dopers don’t matter. It seems that Zwift has been trying to do too much too fast. Riding the Tour de Zwift, I dont have confidence in their ability to even accurately calculate positions of riders (especially since they pulled that feature from stages midway through without an apology or comment). I have also seen no details on how they plan to guarantee the validity of the results of a race. Unless I’m sure eSports competition is fair, I’m certainly not going to take it seriously. I think you have the right idea – don’t think about it too much, take it with a pinch of salt (like Strava) but enjoy it nonetheless. I love being able to compete in a casual way from my garage, it’s the best motivator and great “fun”. As mentioned above, you can always find a race within a race in Zwift, even if it’s not for the win, it’s no less compelling vying with those around you. I’m not concerned about casual races, but Zwift wants to eventually make eSports cycling an Olympic sport. The stakes are much higher when “on the record” or professional results are involved. So far, Zwift hasn’t done anything to inspire confidence in those results. 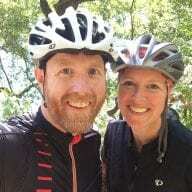 While I agree that the stakes are much higher for professional/ sponsored races with prize money or divine sanctioning from a governing body, I think to say Zwift has done nothing to inspire confidence is a little unfair (although to be fair to you Paul, you commented before the first Zwift super-league last night). For the Zwift super-league for instance (inaugural race last night) I believe all racers were using equipment provided by the race organisers (this is what I’ve seen reported), were wearing heart-rate monitors and had a mandatory weigh-in and I saw reported somewhere even a height check… this is probably the only realistic way to verify performance for now and obviously too onerous for the vast vast majority of community races. On a personal note I sometimes get annoyed with people putting out insane numbers (and have been accused of cheating myself) but at the end of the day I race on Zwift to train, I’m confident in my own numbers and to be cliché, people who are cheating (especially sandbaggers) are only cheating themselves (or often don’t know any better and are using badly/un- calibrated equipment). This is not good. A lot of people, such as myself, take this Zwift racing stuff seriously. For the past few days these races have been foolishly fast, up to an over 5w/kg for the duration of the events. And when I’m struggling to hold position in a lead group at 5 or more w/kg when others keep pulling away from the front over 6w/kg, I usually just assumed that there were a couple CEVA Zs in the mix. But checking those other riders’ race data, some with hardly a few races under their belt, I naturally became suspicious. If there isn’t some sort of governing body to keep those with incorrectly calibrated trainers or outright cheats out of the official results, then unfortunately Zwiftpower.com serves no other purpose than to event listing and inaccurate race data logging. For me as a B, this doesn’t really matter–if riders are outside cat limits they’ll get auto DQ or upgraded. But for A racers, I think this is a big deal for sure, for the reasons you state.